The holidays will be here in less than a month, and most of us will start our shopping for friends and family soon...or the week before Christmas… not that I’m speaking from experience. For the vegan baker or tea drinker in your life: Bee Free Honee. Not only is this a way to enjoy honey, but the company is also woman-owned and co-founded by a Minnesotan! For the at-home manicurist: Zoya Nail Polish. Zoya is a well-known and quality vegan nail polish brand, making it perfect for those that want beautiful nails without compromising their values. For the athletic one: Green and Gorgeous Vegan Dry Shampoo. After a yoga class or run on the treadmill, dry shampoo is a life saver! For the artsy (but snarky) vegan: Vegan Problems Coloring Book via Coloring Crew. For the person who’s sick of people asking them if they get enough protein. For the snacker: Vegan Snack Box Subscription via Vegan Cuts. 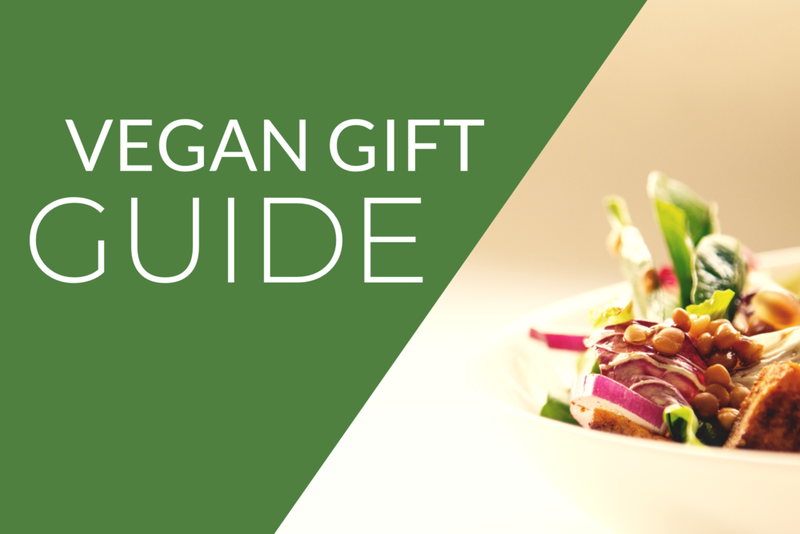 Send the latest vegan snacks monthly to the person who’s always trying new products. For the proud vegan: Avocado vegan phone case via Accessories4lifeLTD. There is a large selection of phone cases that are not only made of vegan materials, but also show off that the owner is vegan! For the fashionista who likes comfort: Tieks Vegan Collection. The same great Tieks quality and comfort, without the leather. For the on-the-go friend: Stainless Steel Eco-Friendly Silverware Set via ArderLive. For those eco-conscious friends and family, this portable silverware set has everything needed for a meal on the go. For the home cook: Lodge Cast Iron Pan. Cast iron is chemical-free, durable and naturally non-stick, making it a versatile pan fit for any meal. For the trend-setter: Vegan enamel pins via VeganPowerCo. For those that like to wear veganism on their sleeve, these pins are sure to be a hit. And of course, the perfect gift is a Seed Cafe or Modo Yoga gift card (not that we’re biased… okay we’re totally biased).